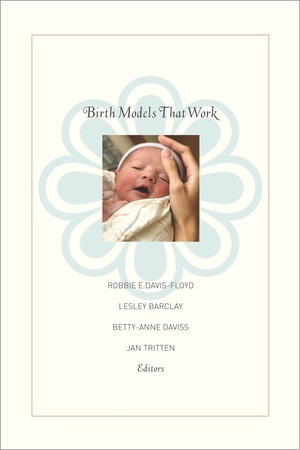 This groundbreaking book takes us around the world in search of birth models that work in order to improve the standard of care for mothers and families everywhere. The contributors describe examples of maternity services from both developing countries and wealthy industrialized societies that apply the latest scientific evidence to support and facilitate normal physiological birth; deal appropriately with complications; and generate excellent birth outcomes—including psychological satisfaction for the mother. The book concludes with a description of the ideology that underlies all these working models—known internationally as the midwifery model of care. Robbie E. Davis-Floyd is Senior Research Fellow in the Department of Anthropology at University of Texas, Austin, and Fellow of the Society for Applied Anthropology. She is author of Birth as an American Rite of Passage (second edition, UC Press), among other books. Lesley Barclay is Director and Professor at the Centre for Family Health and Midwifery at the University of Technology in Sydney, Australia. Betty-Anne Daviss is a practicing midwife and Adjunct Professor at the Pauline Jewett Institute of Women's Studies at Carleton University. Jan Tritten is founder and editor-in-chief of Midwifery Today magazine.